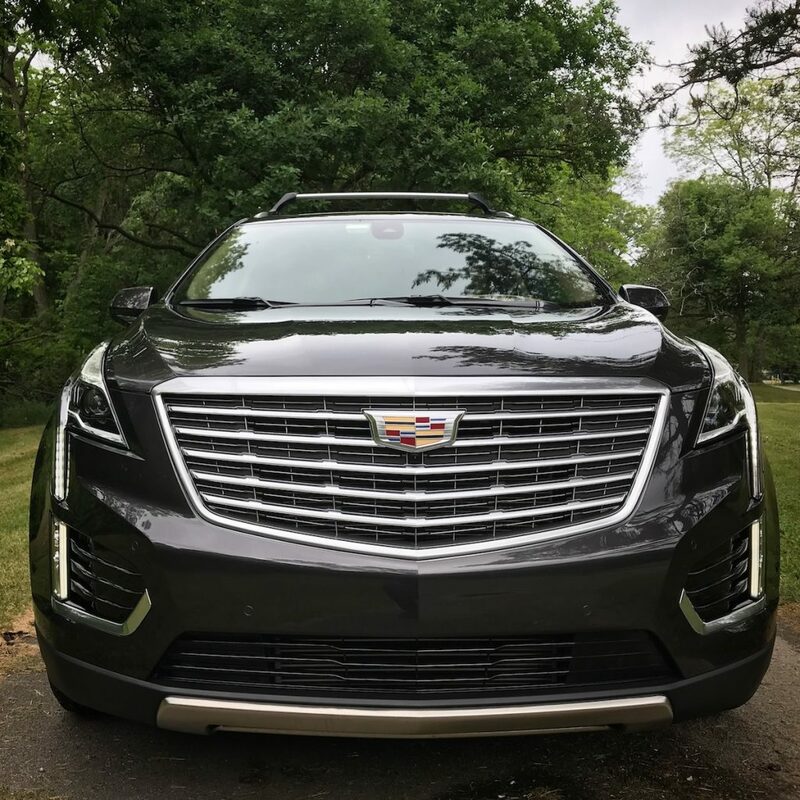 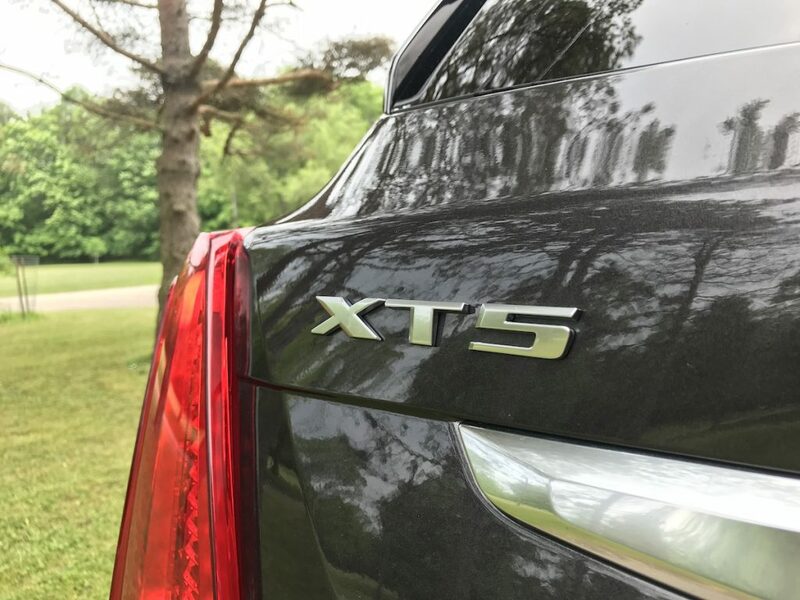 If the CT6 is the most luxurious and tech-laden sedan made by Cadillac, then the XT5 is the crossover equivalent. 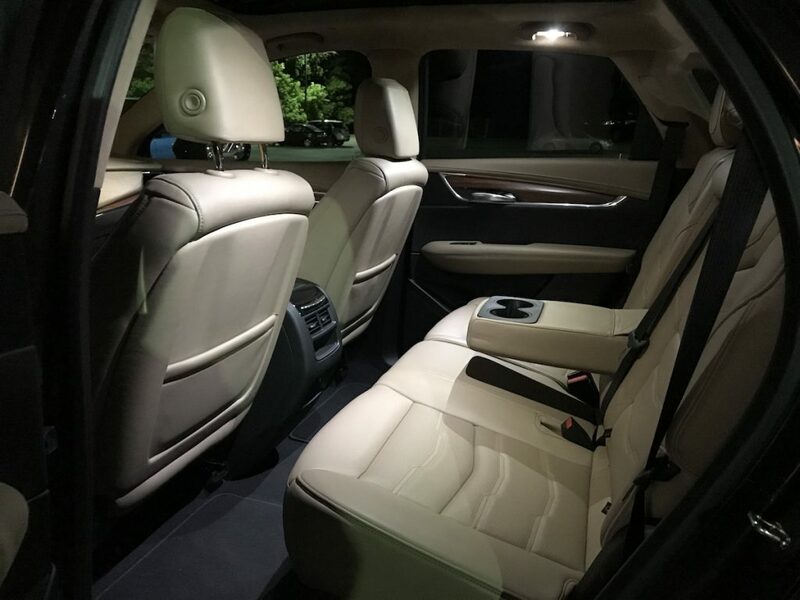 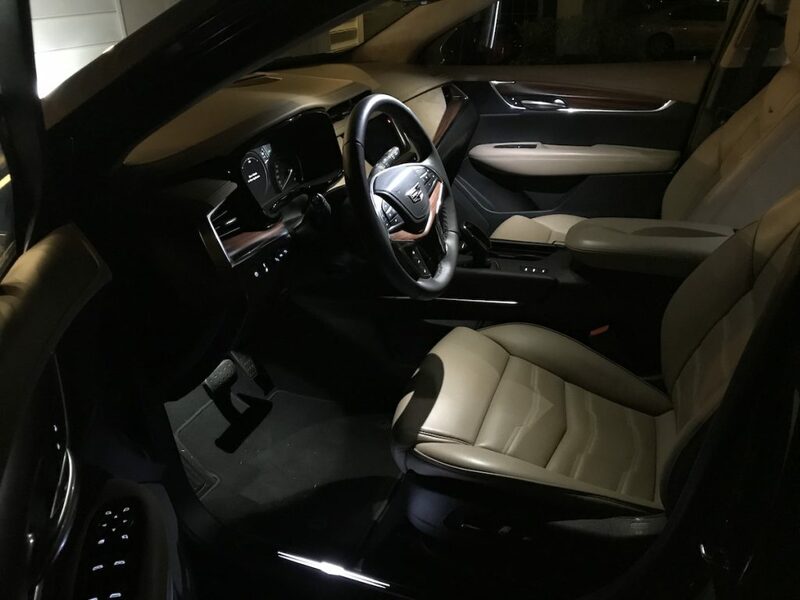 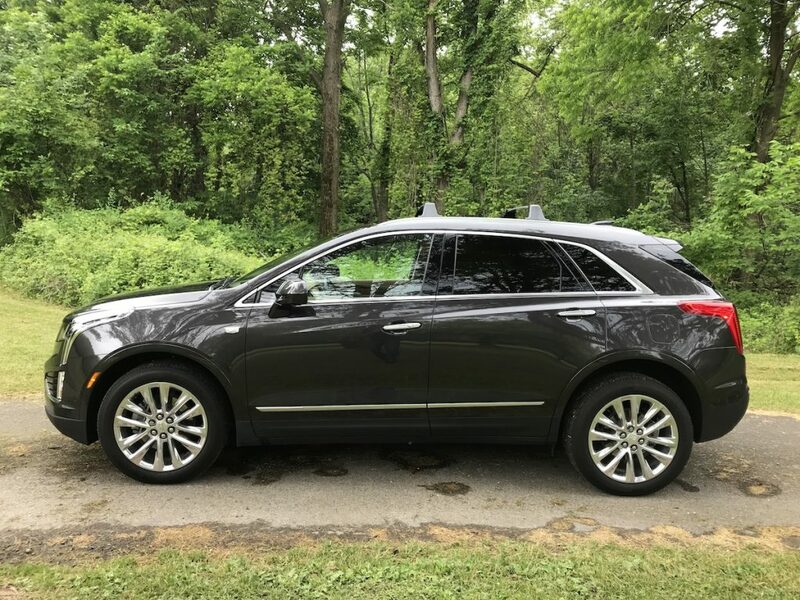 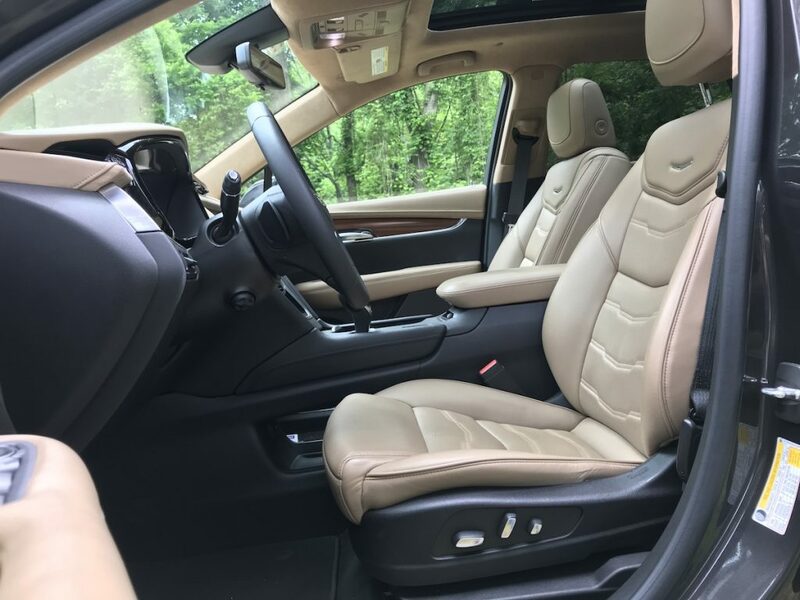 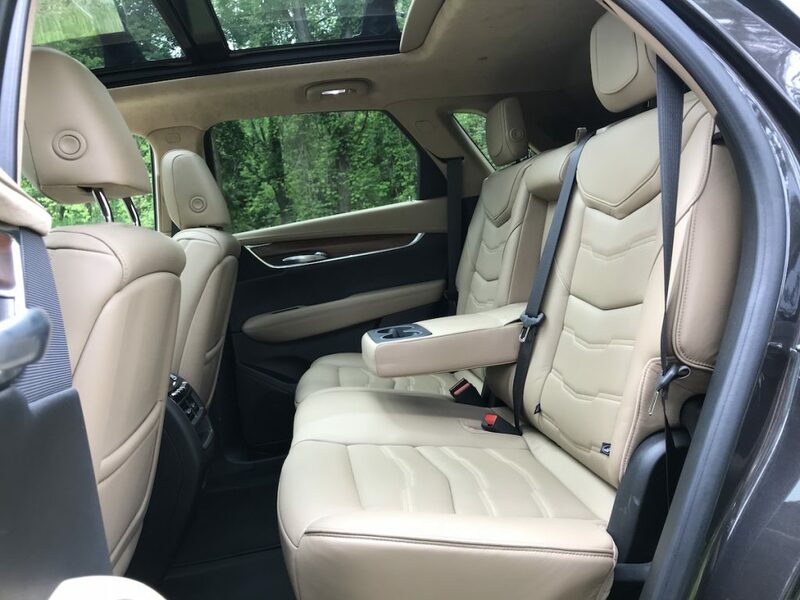 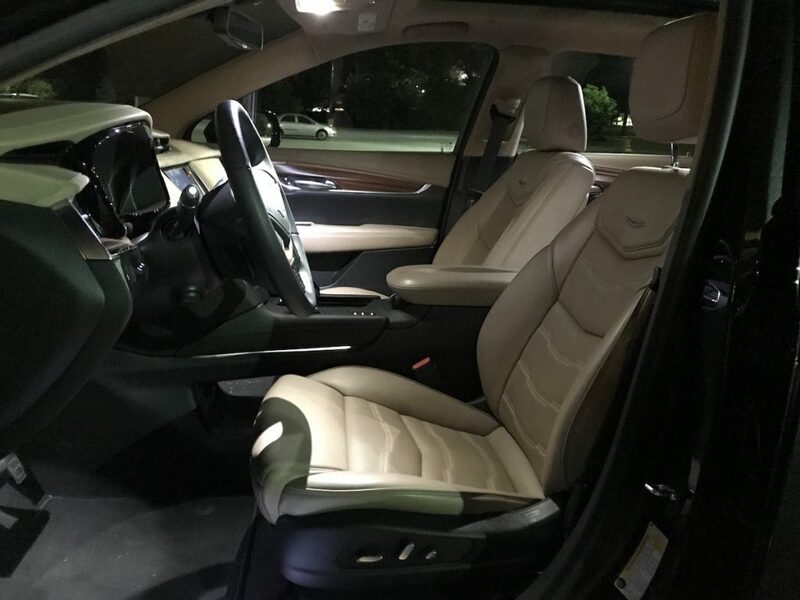 The 2018 XT5 combines spacious luxury and high-tech features, with a exterior and interior design that set it apart from other luxury brands. 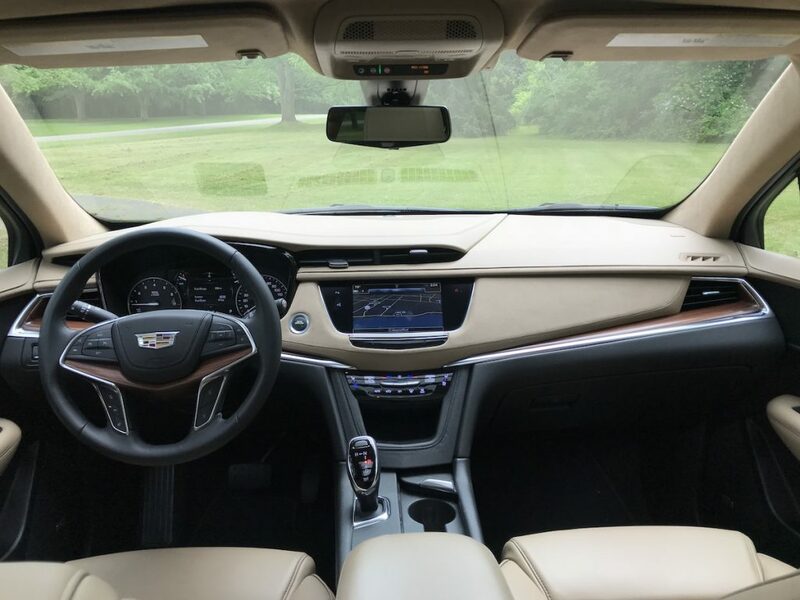 Super Cruise is not available as of right now, but it’s on the way. 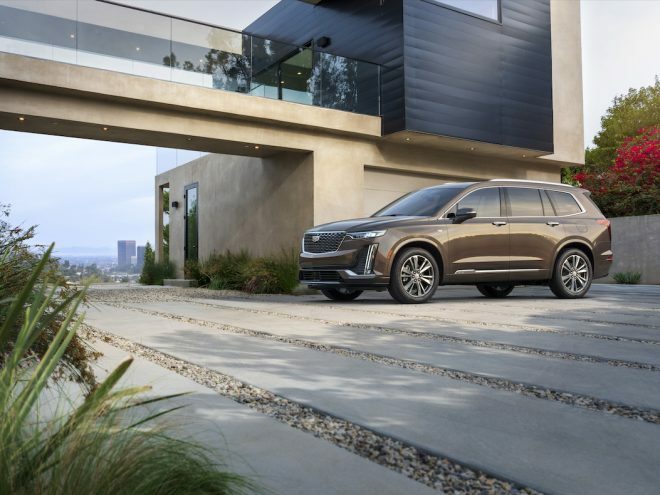 The exterior stands out because it doesn’t have all the curves and rounded body shapes of other luxury crossovers. 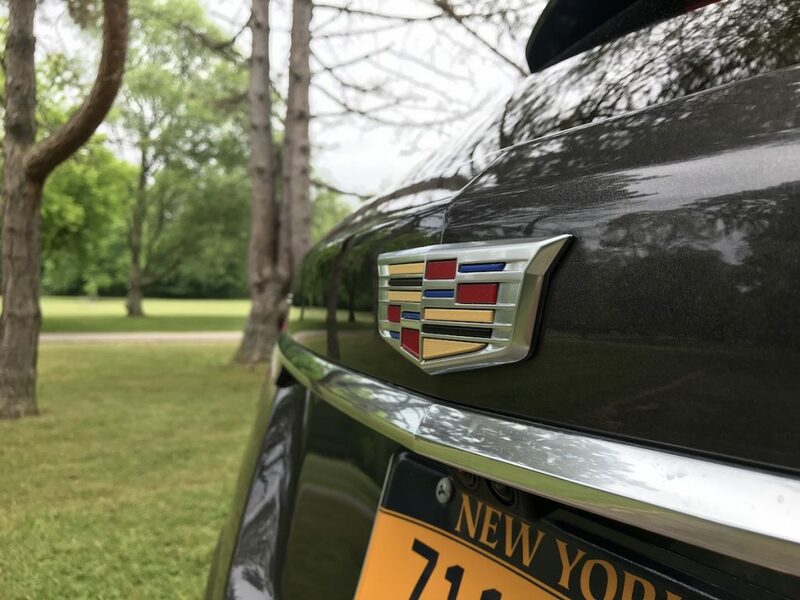 XT5 is sharp, chiseled, and elegant. 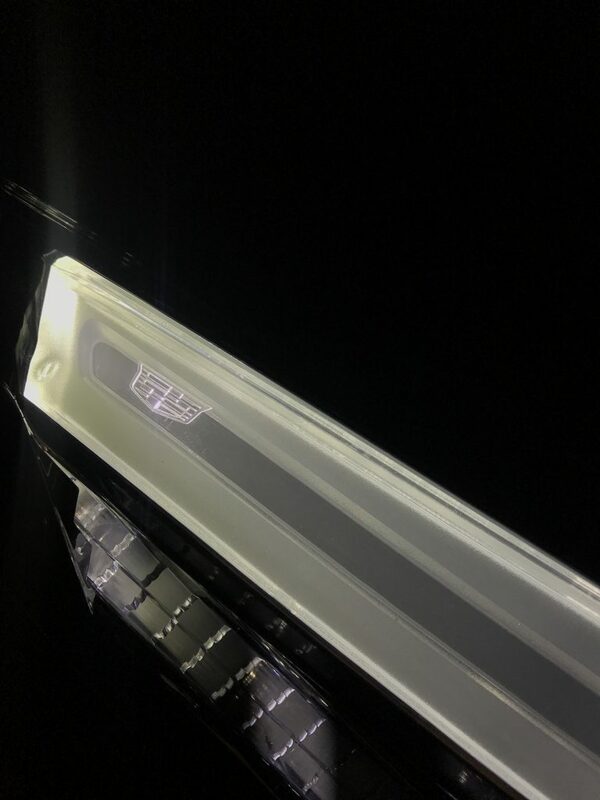 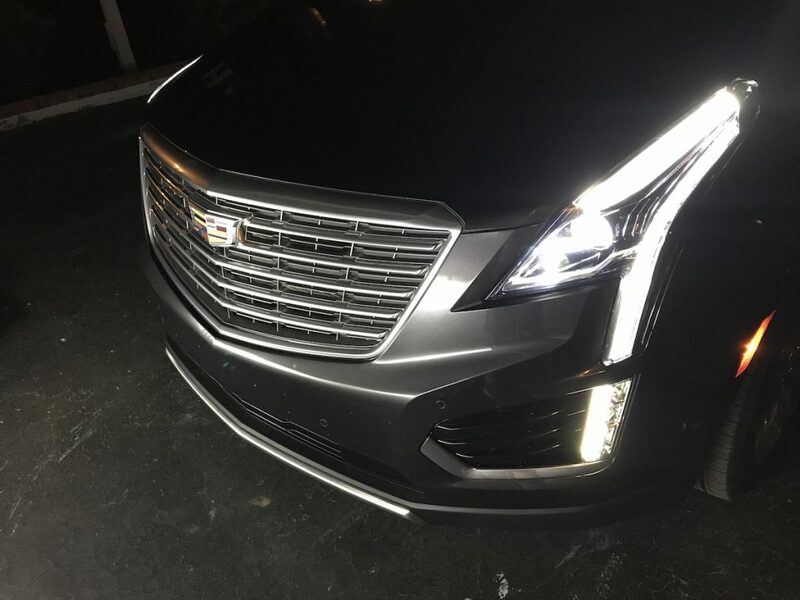 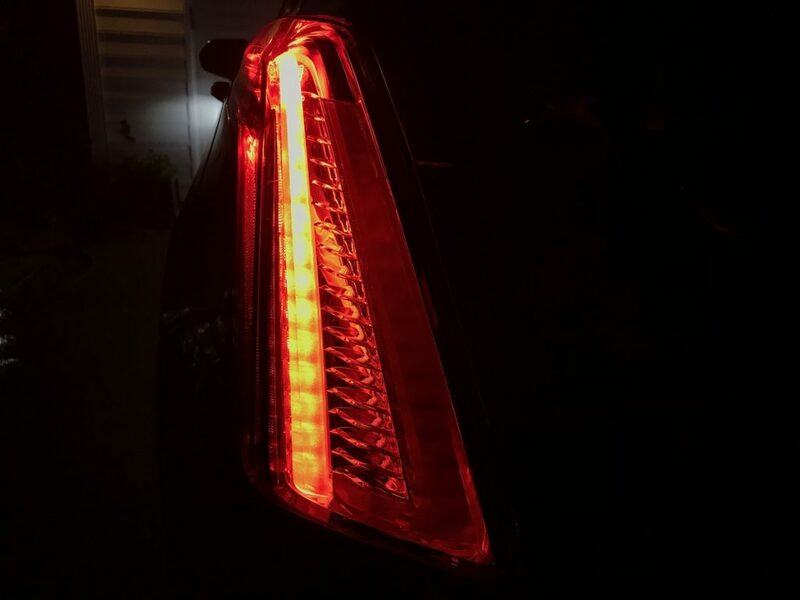 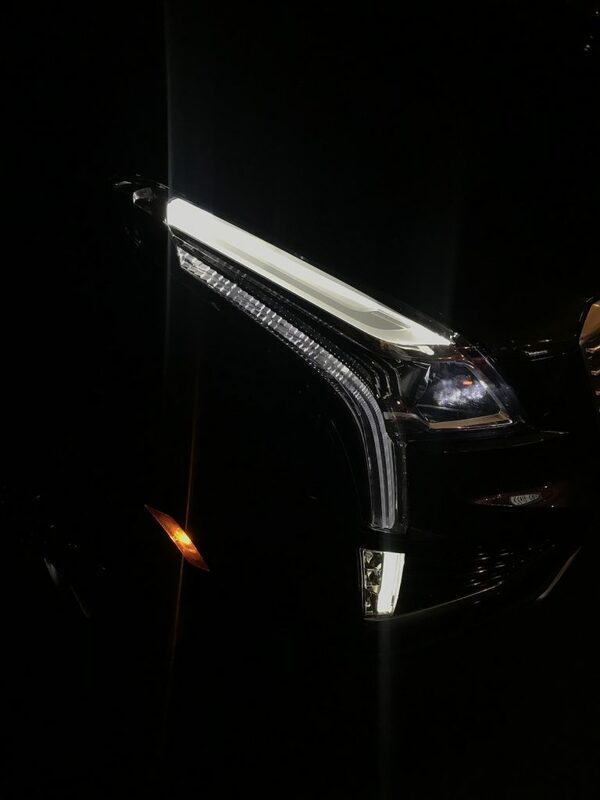 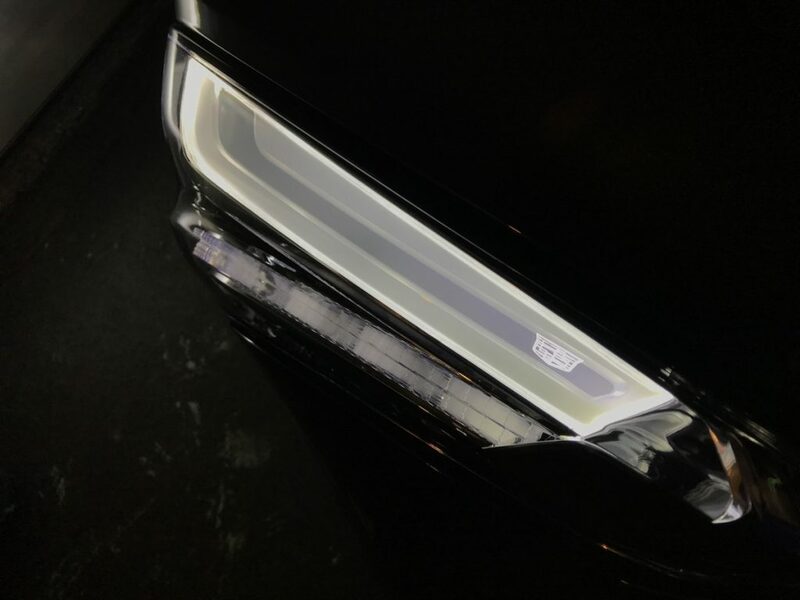 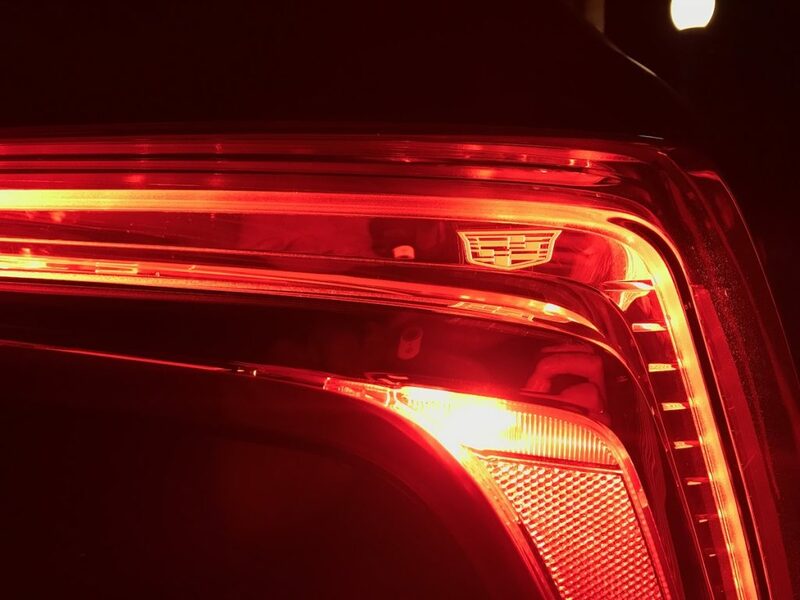 We think it simply looks stunning, and at night, the all-LED illumination in the front, sides, and rear allow it to stand out even further. 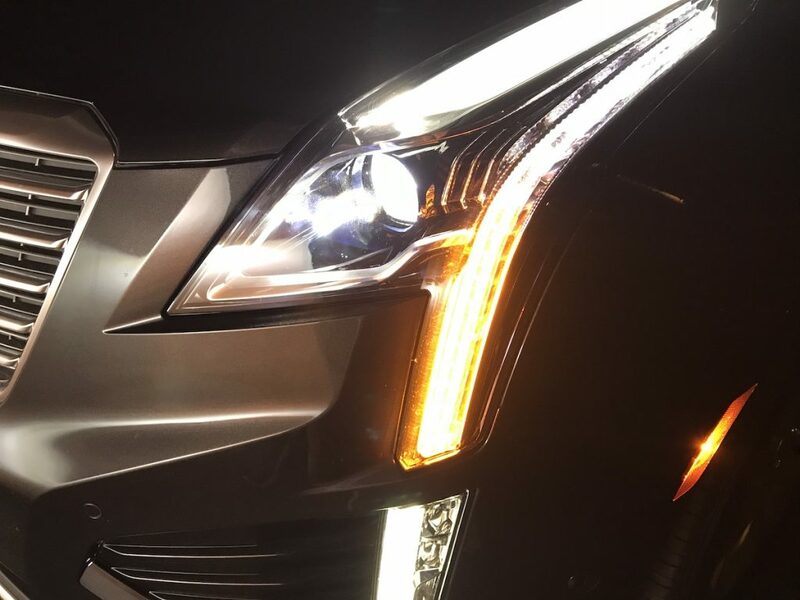 The headlights are some of the best we’ve ever evaluated and include cornering lights and auto high beams. 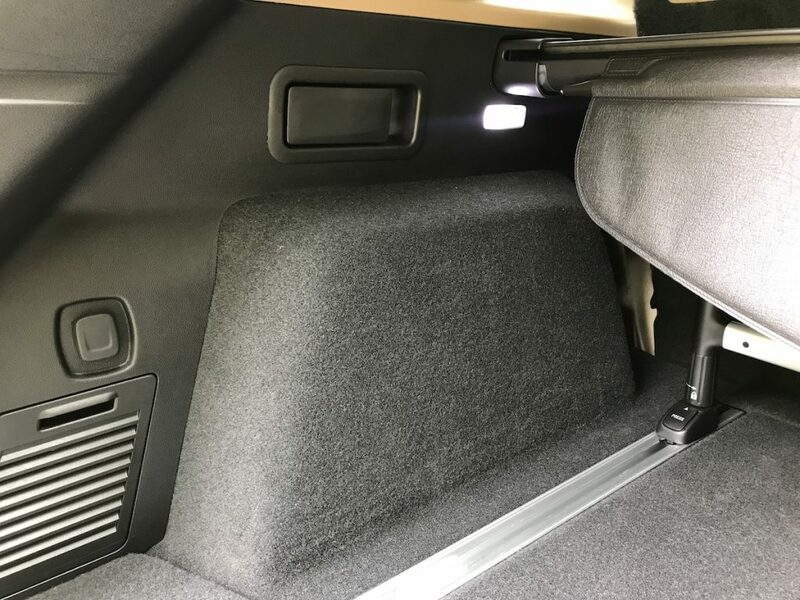 The liftgate includes hands-free opening and closing with just a kick beneath the side of the rear bumper. 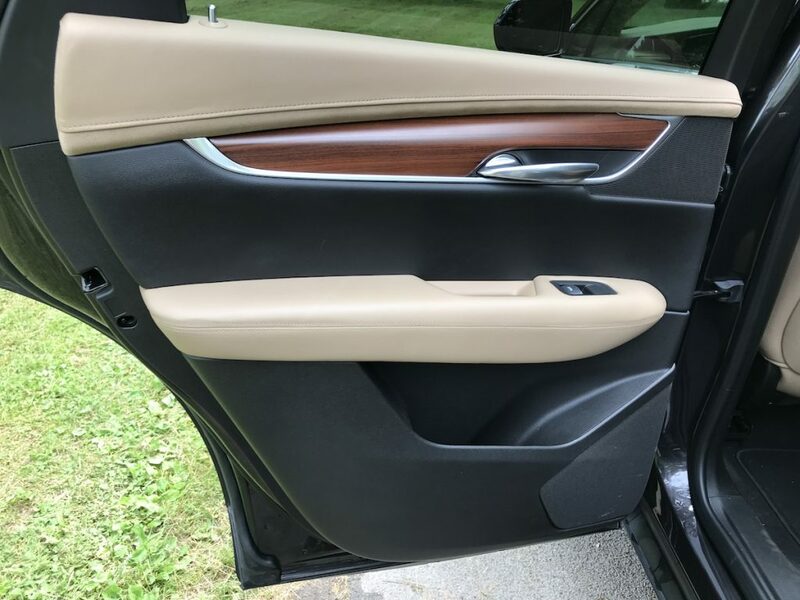 It opens and closes faster than most and we really appreciate that. 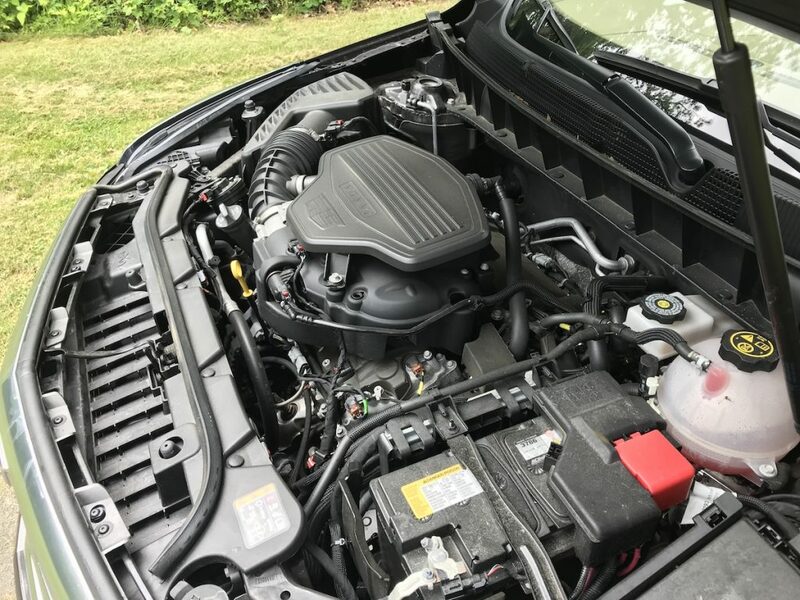 Under the hood, GM’s ubiquitous 3.6L produces 310 HP and 271 lb-ft of torque. 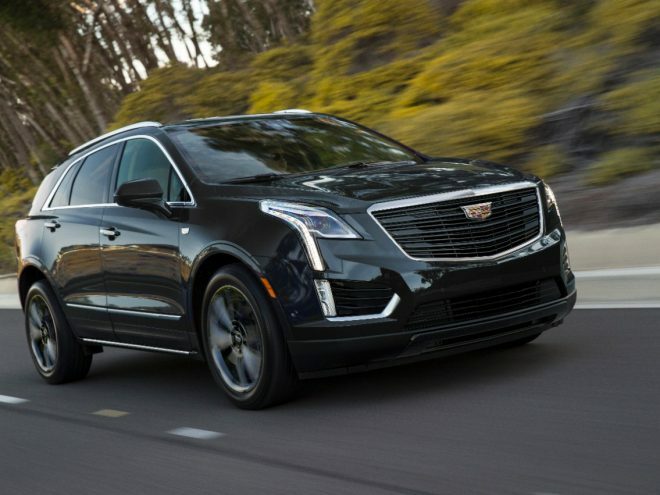 Mated to an 8-speed automatic, the XT5 features what Cadillac calls Electronic Precision Shift, essentially an all-electronic shifter. 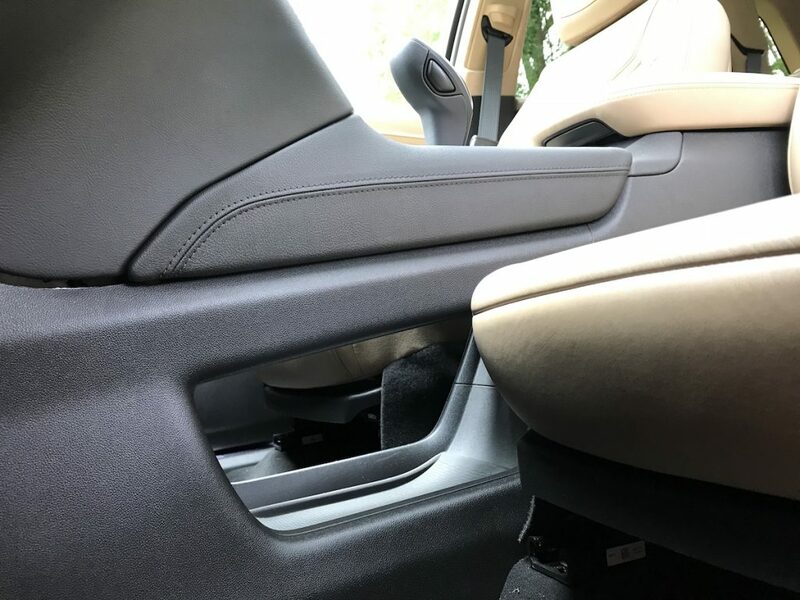 The shifter takes up less space and allows for a large storage cubby under the center console. 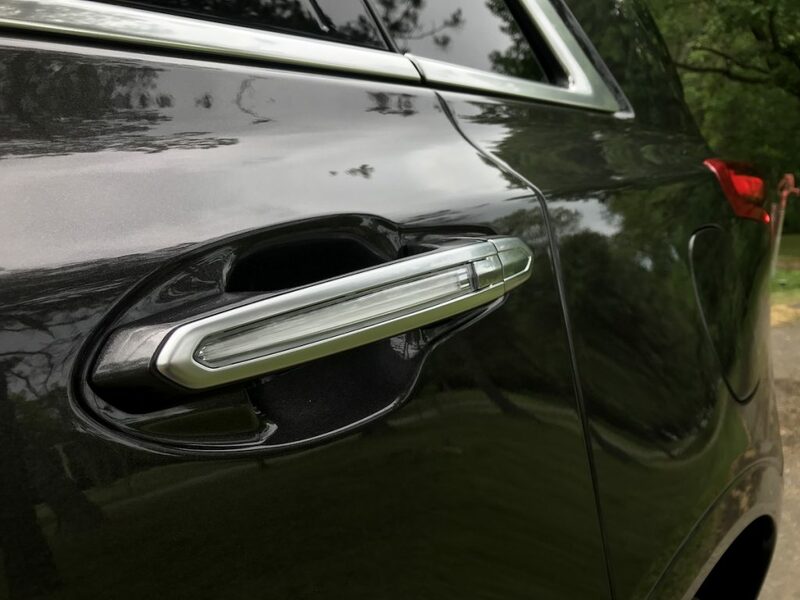 We really like the benefits, but the operation does have a slight learning curve. 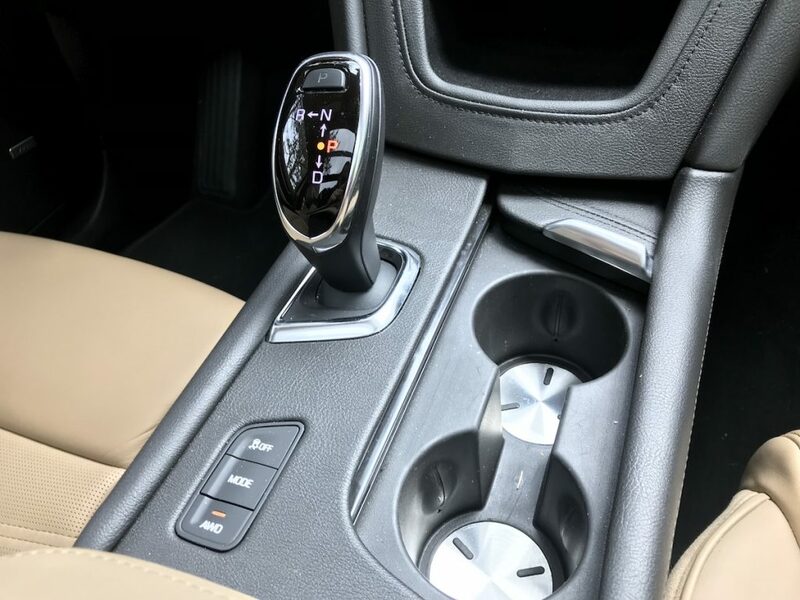 Paddle shifters are mounted to the steering wheel for manual gear control. 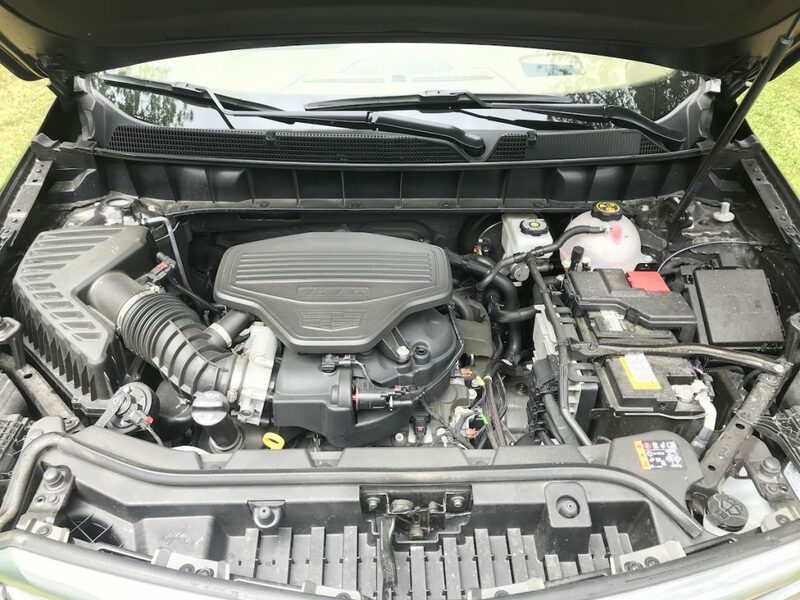 The 3.6L engine also features Active Fuel Management cylinder deactivation tech to improve fuel economy. 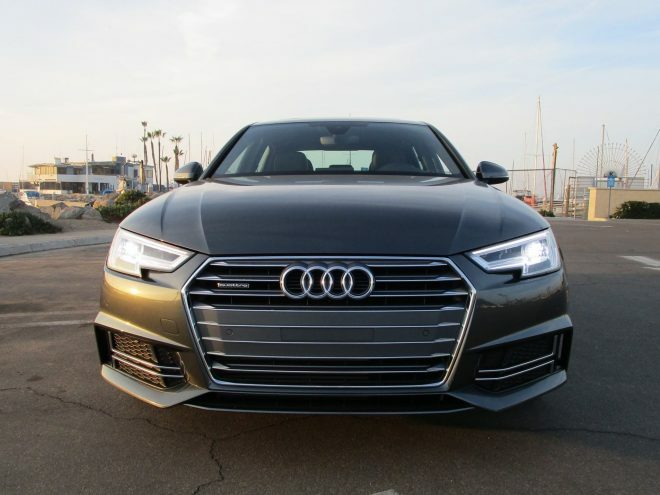 AFM allows the engine to switch to 4-cylinder mode under low or moderate loads. 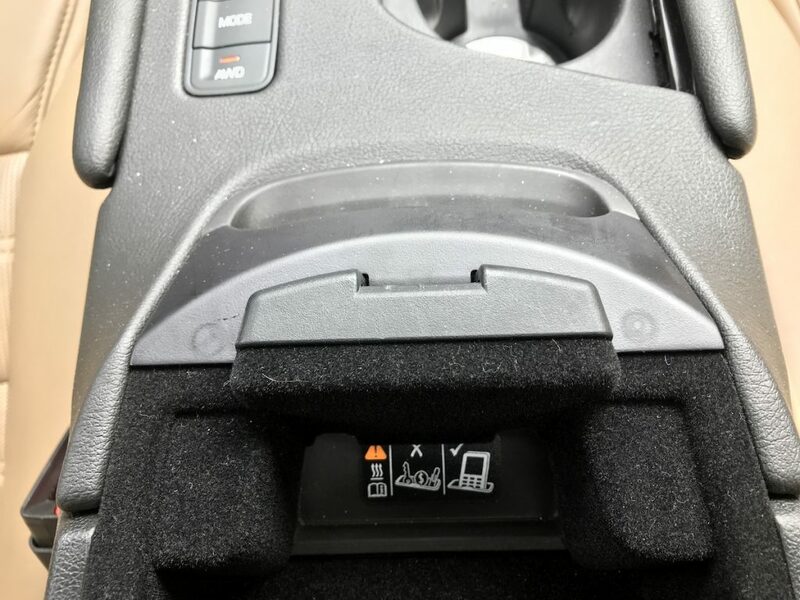 Stop/start technology takes everything a step further by automatically stopping and starting the engine at traffic stops. 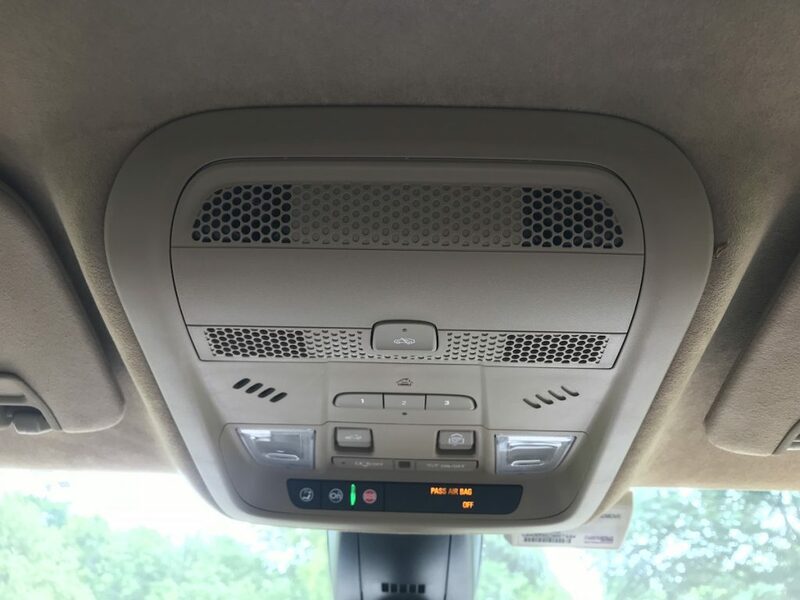 Everything works seamlessly and none of it can be heard or felt from the cabin. 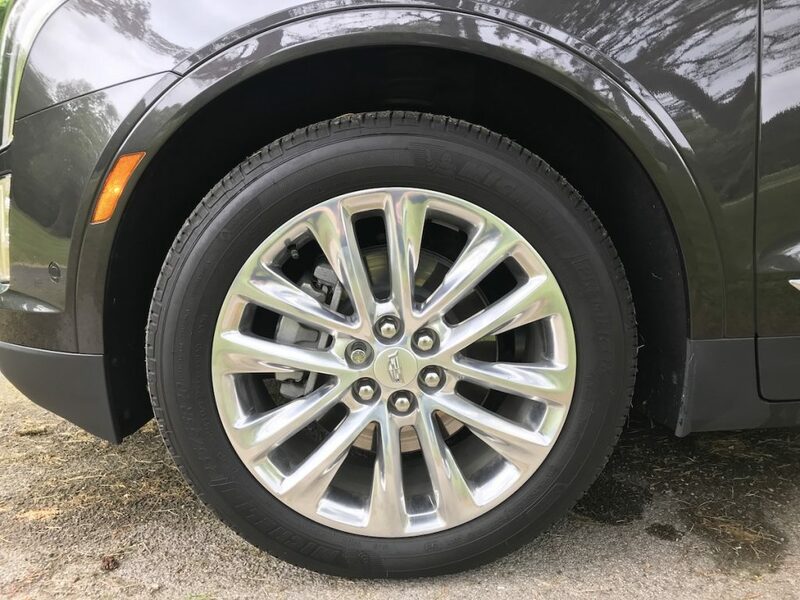 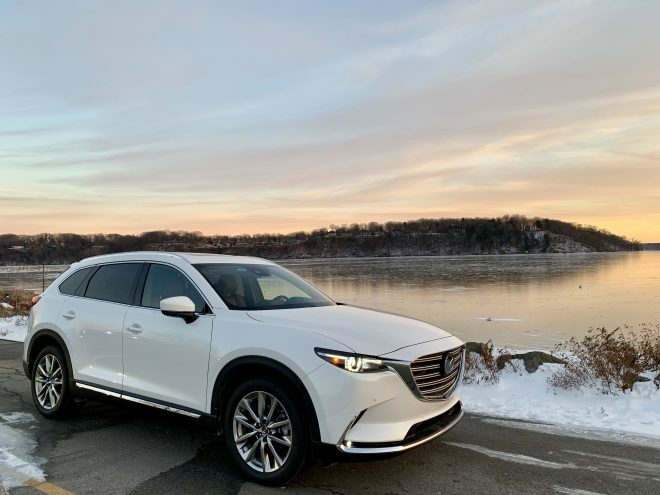 Our Platinum AWD tester featured a “twin clutch” system that continuously and automatically delivers excellent traction across a variety of conditions. 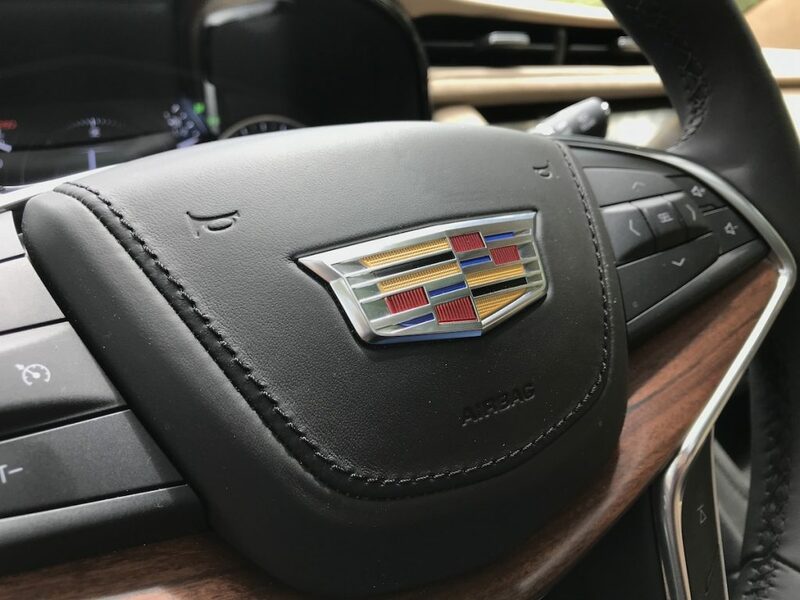 It increases confidence on all roads no matter the weather. 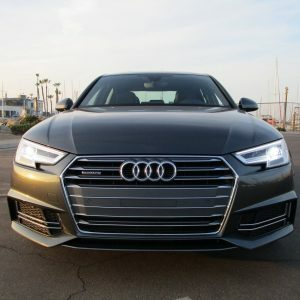 The AWD system is capable of transferring up to 100 percent of torque to the front or rear axles, and across the rear axle, the electronically controlled rear differential can direct up to 100 percent of torque to either wheel. 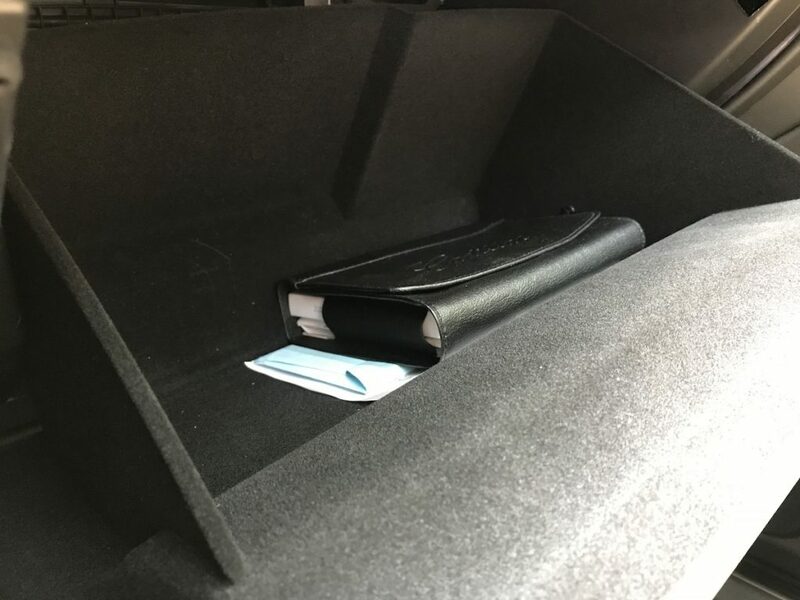 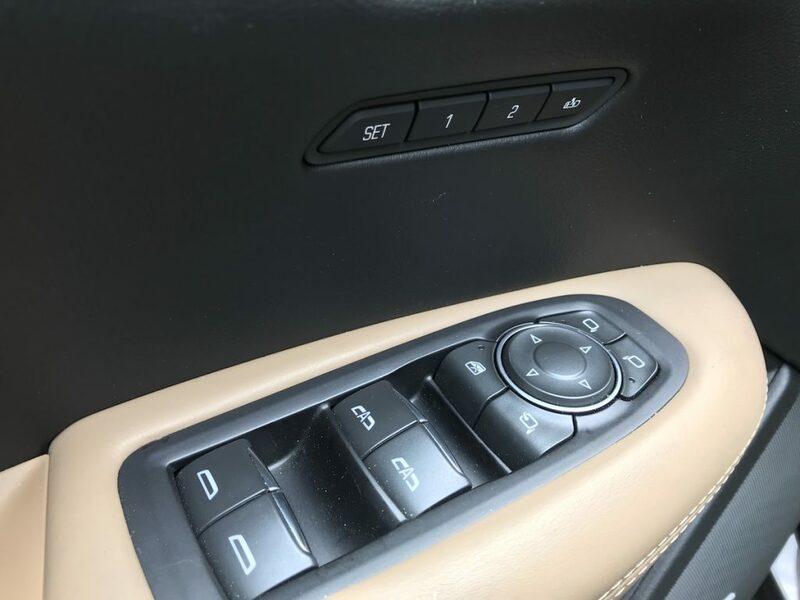 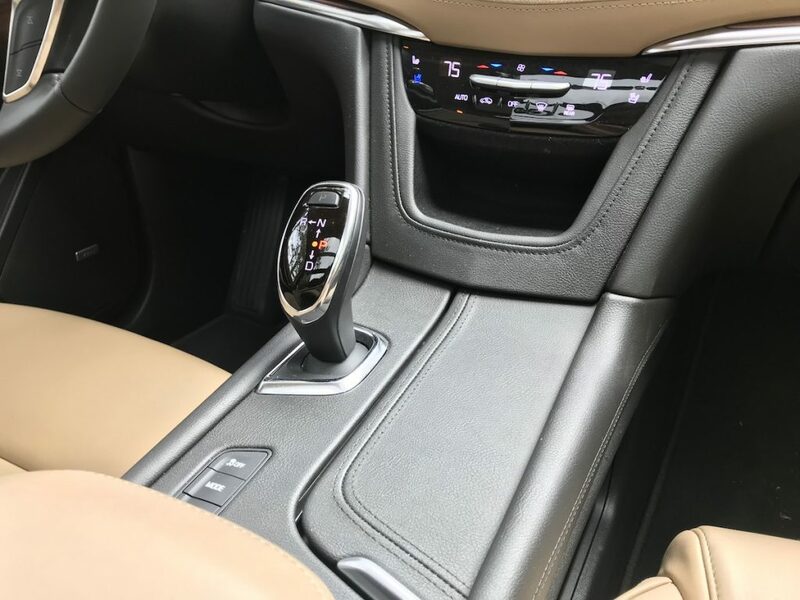 Interestingly, the AWD system is driver-controlled via a button on the center console, and includes a disconnect feature that disables the rear drive unit for improved fuel efficiency. 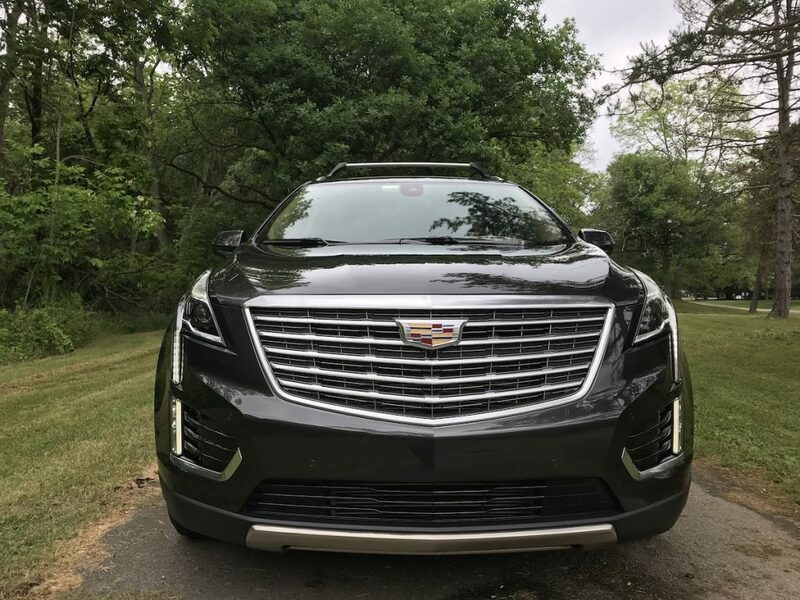 Handling is excellent for a vehicle of this size and stature. 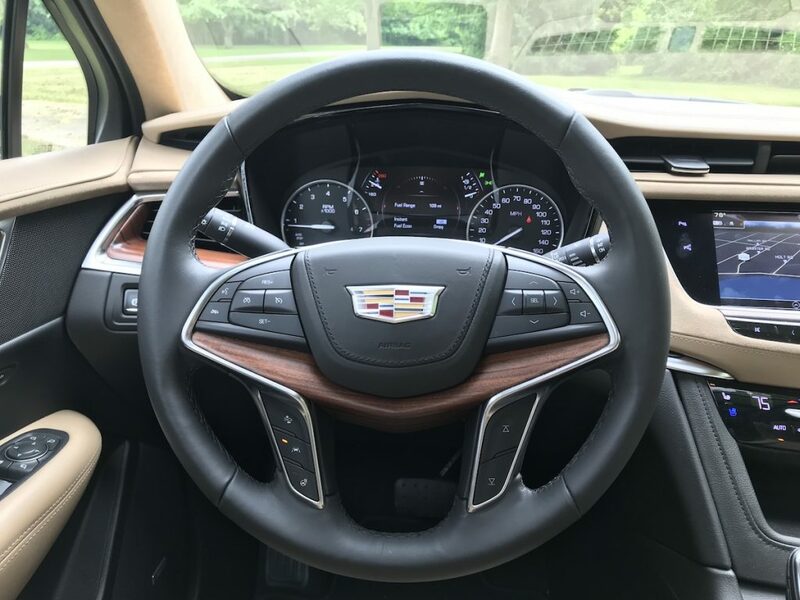 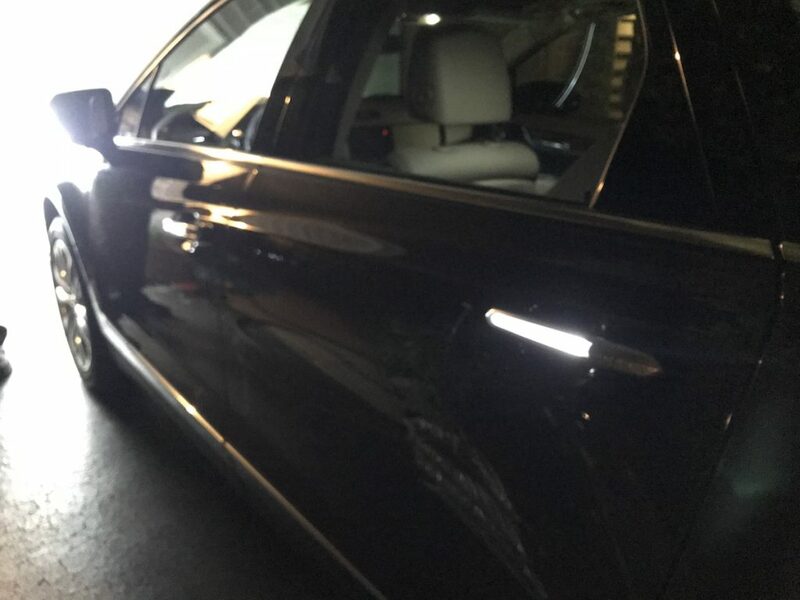 It’s doesn’t handle like the CT6, but the Continuous Damping Control system is incredible and makes the ride comfortable, but still athletic. 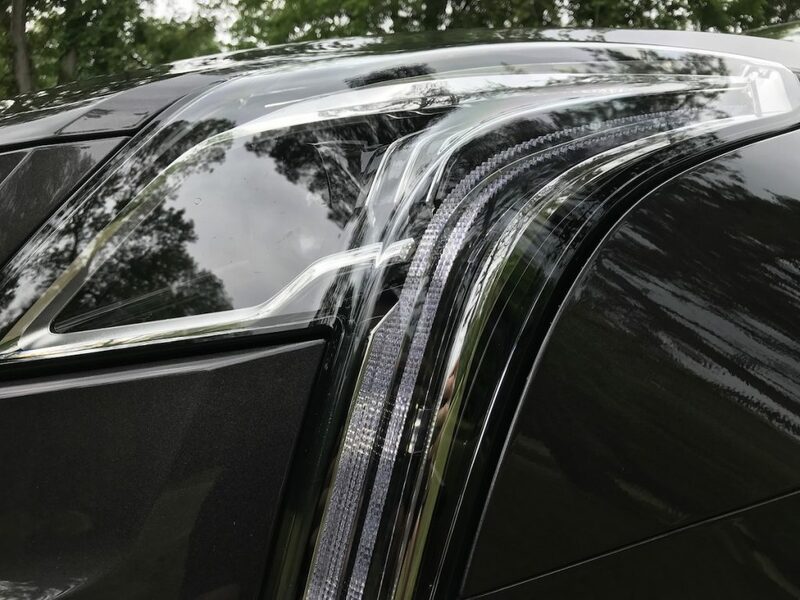 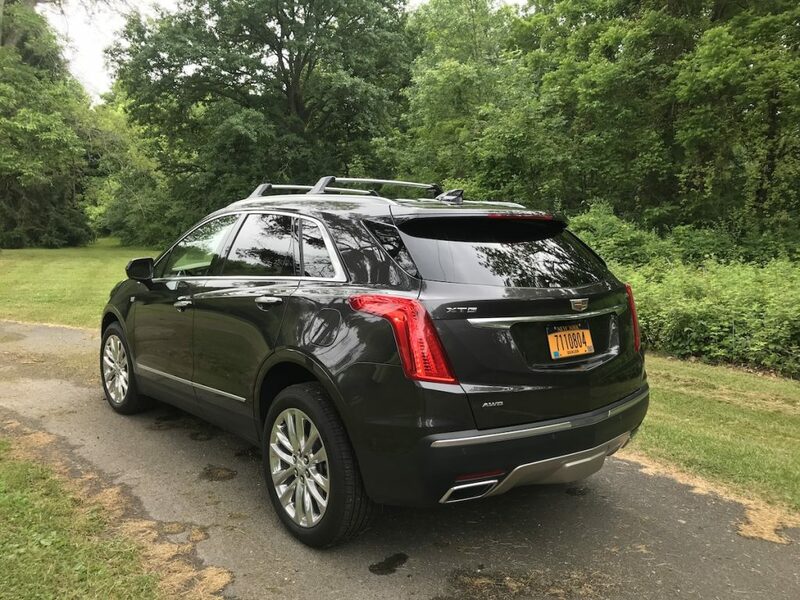 Additional ride bushings on the rear cradle are exclusive to the XT5 Platinum and are specifically tuned to provide added ride comfort for rear seat passengers. 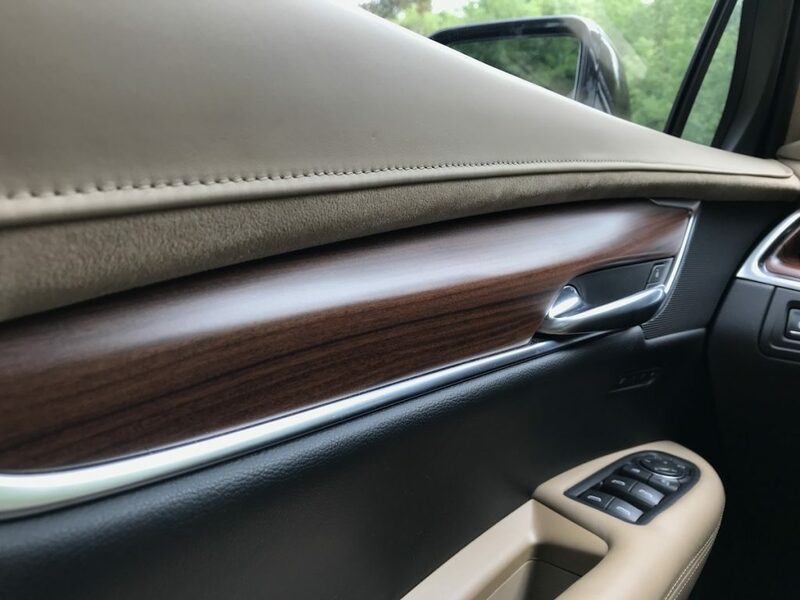 The interior is a luxurious paradise. 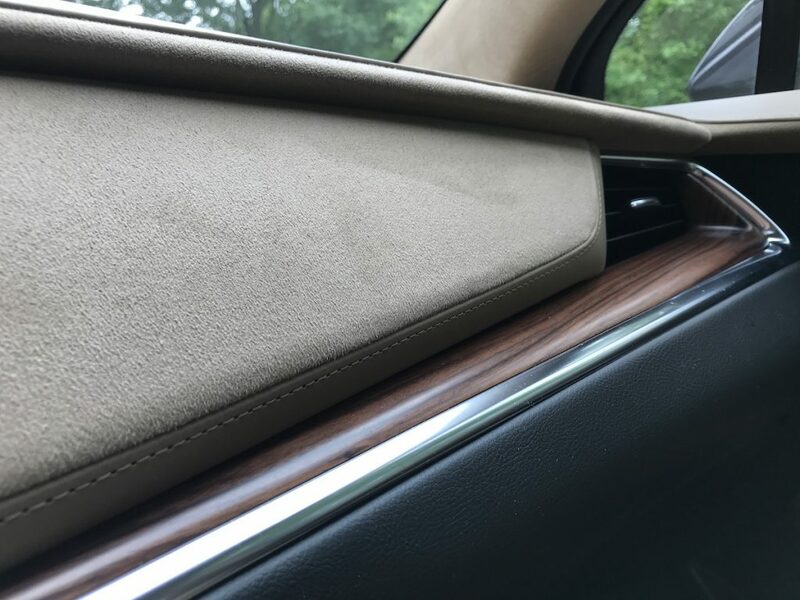 Everything is covered in either leather, suede, or a very high quality material, and it’s all stitched together. 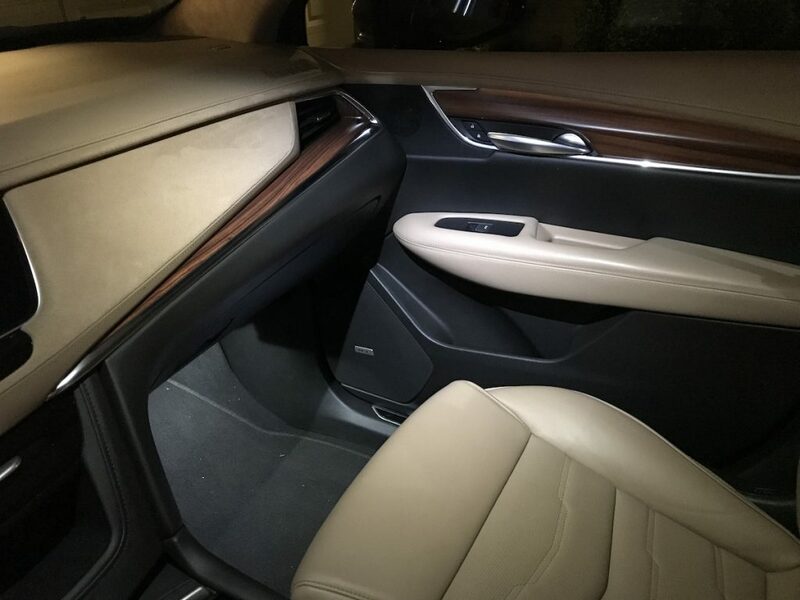 Cadillac says the interior is assembled with cut-and-sewn wrapped panels. 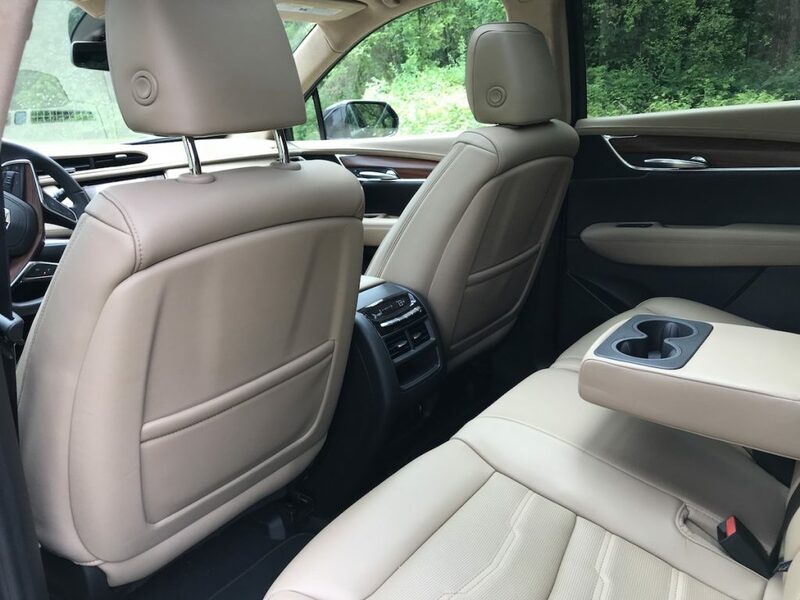 Every seating position is comfortable, supportive, and spacious. 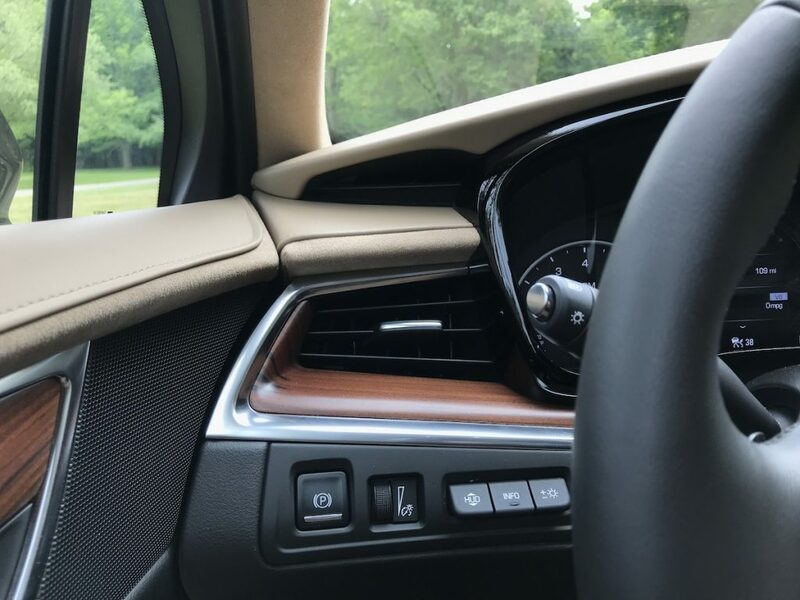 Arm rests are buttery, and visibility all around is good. 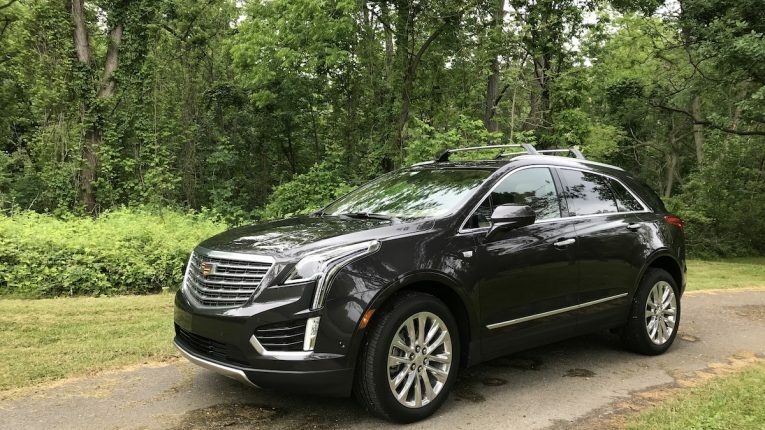 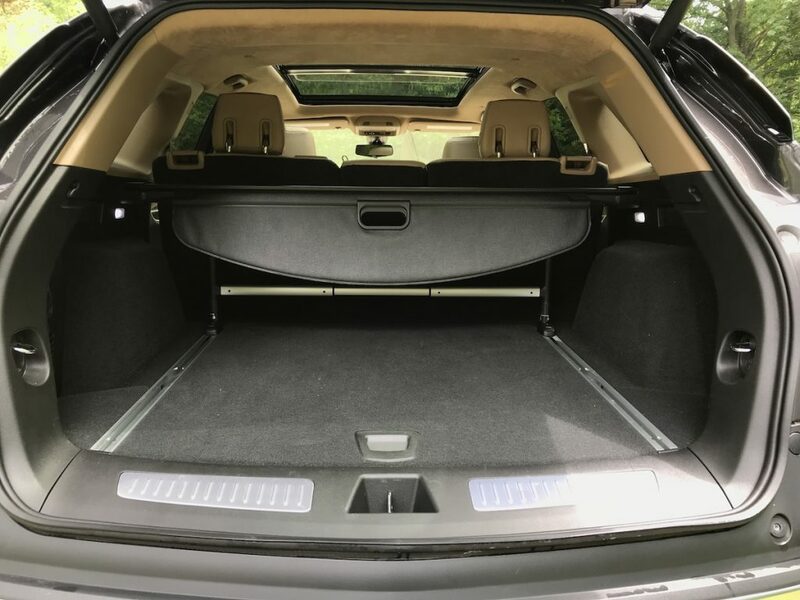 On the tech side, Cadillac loaded up the XT5 with nearly everything from their features bin. 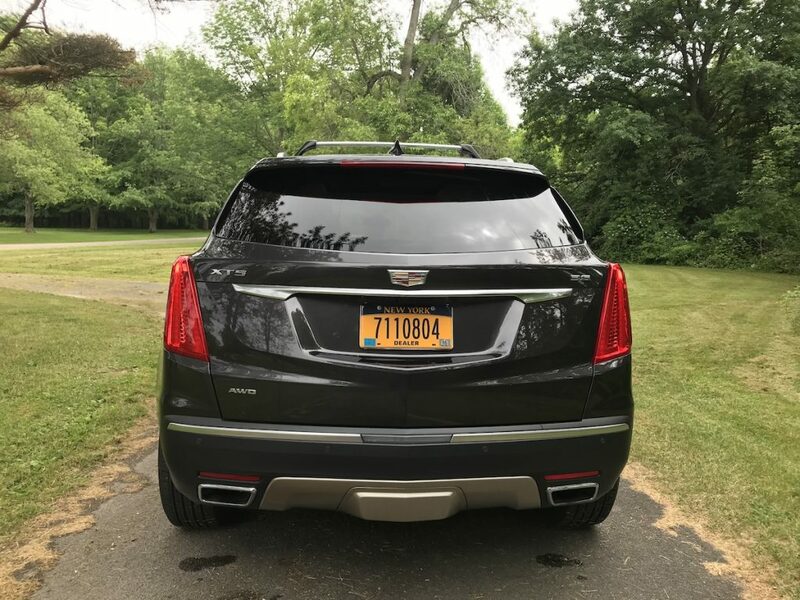 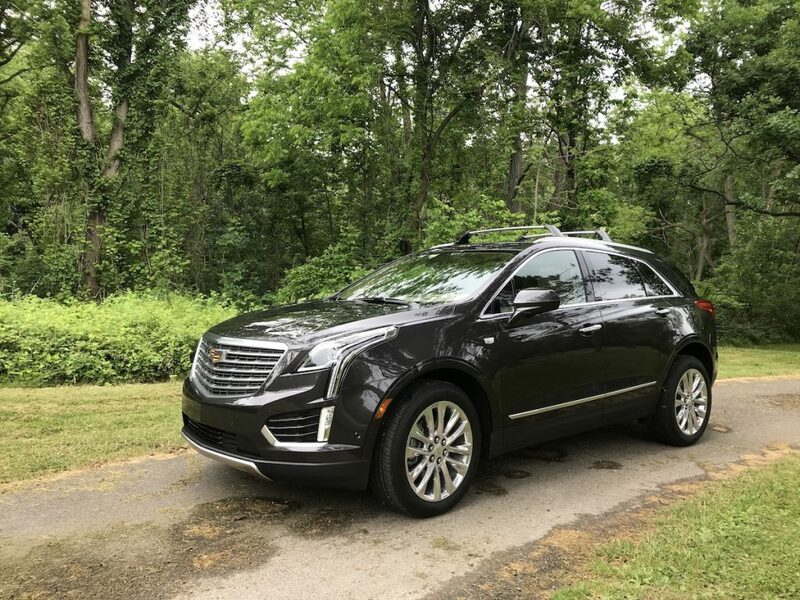 It has a digital rear camera mirror that shows a full view of what’s behind the XT5 using a high dynamic range camera that’s separate from the one used for backing up. 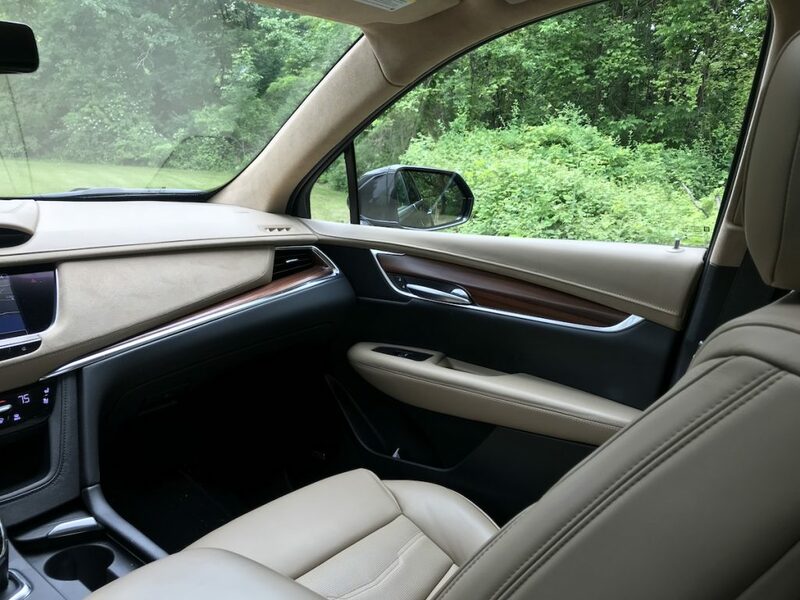 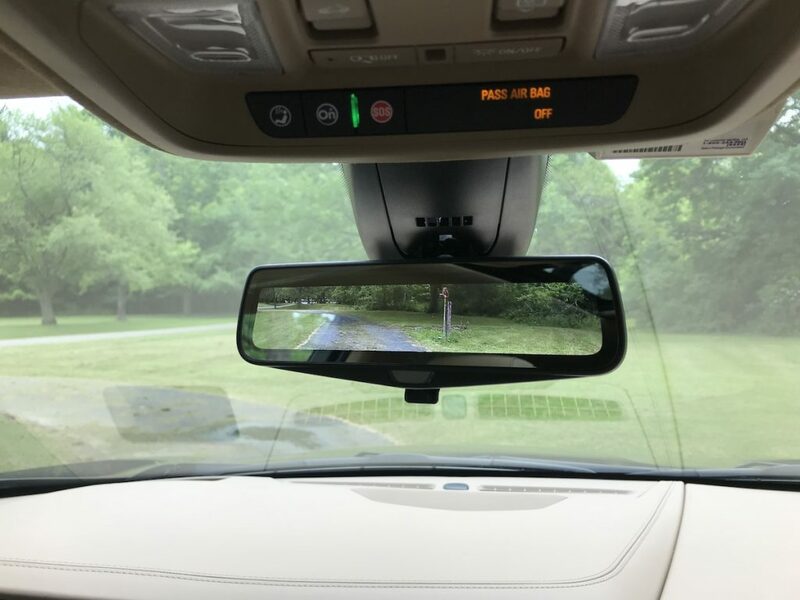 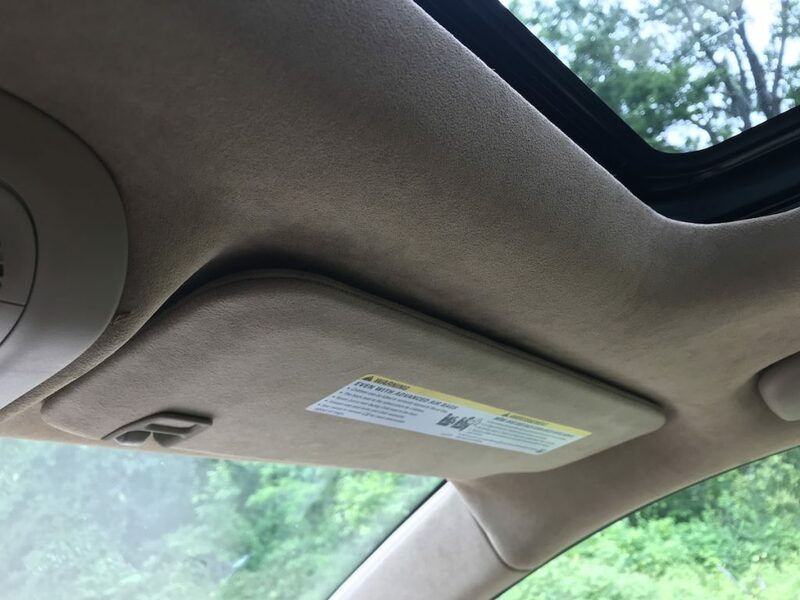 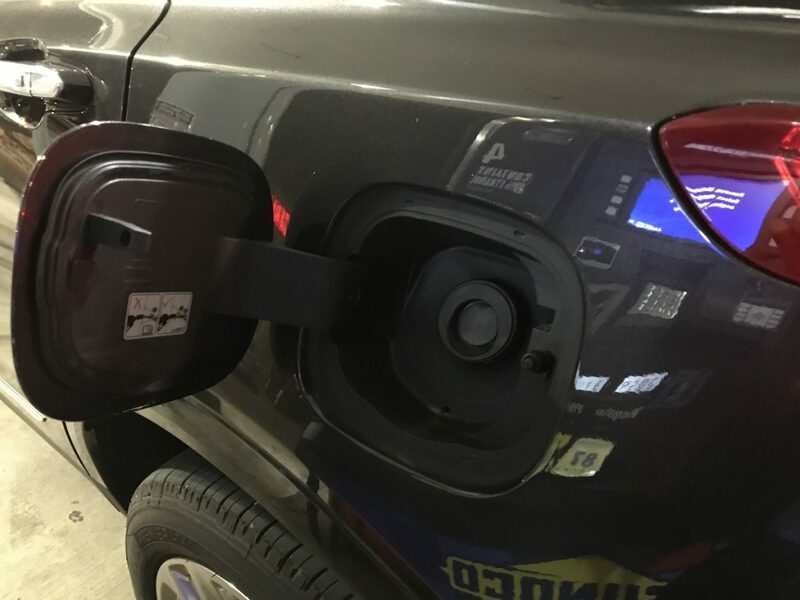 The rear camera mirror images are akin to what you’d see out the back window if the pillars, rear headrests, and any cargo items weren’t blocking the view. 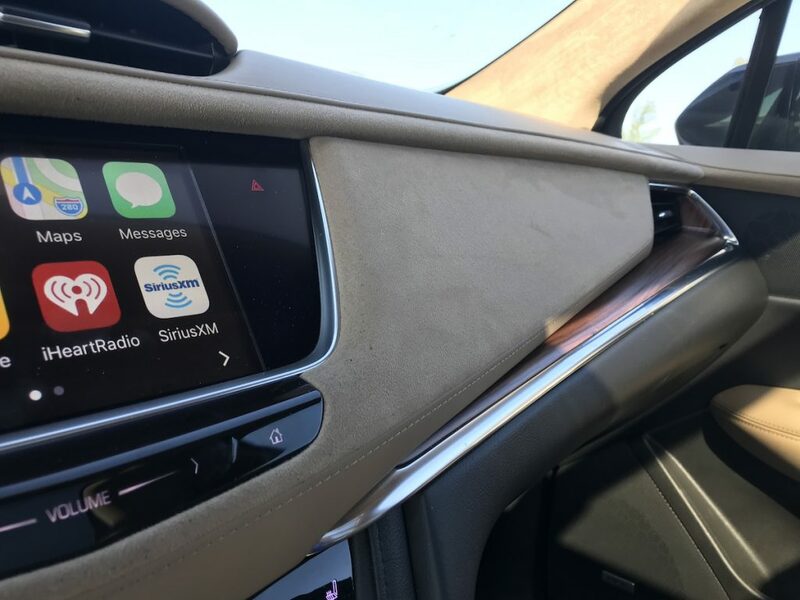 The second gen CUE infotainment system is superb. 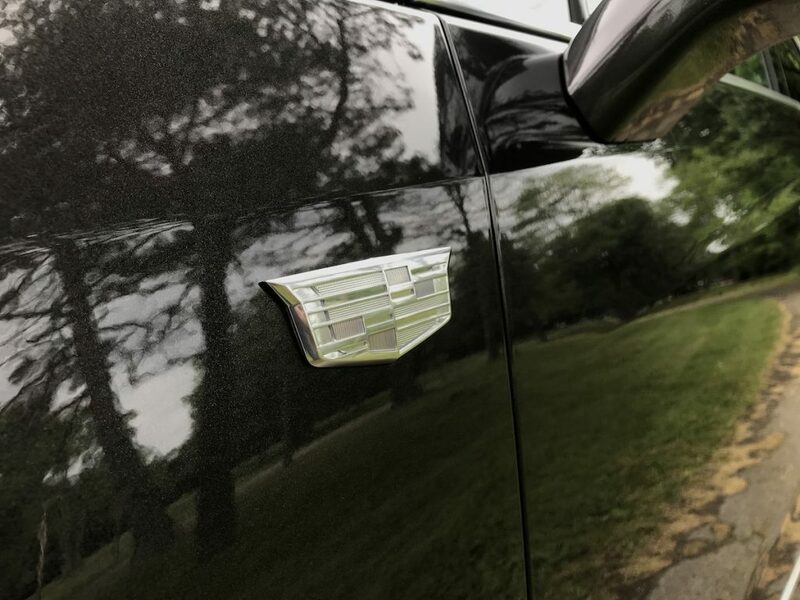 It’s just as fast as the best out there, with great accuracy. 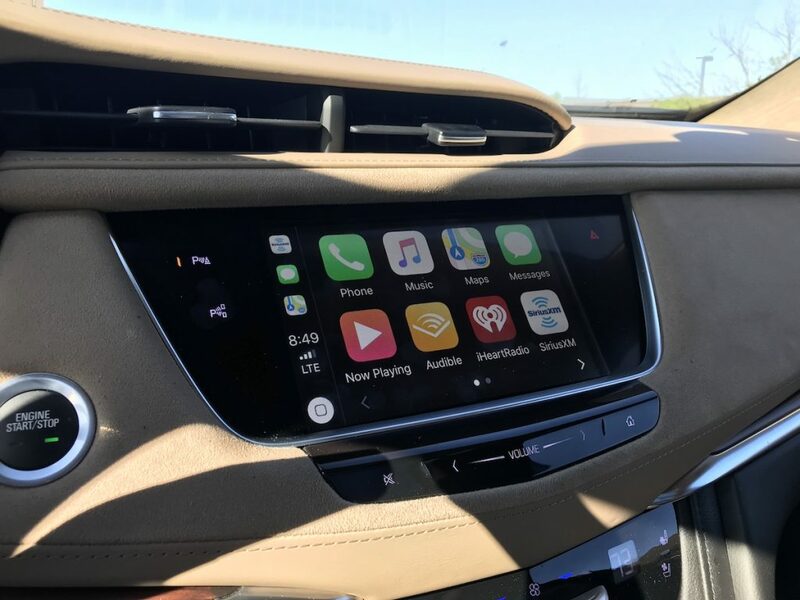 Apple CarPlay works beautifully, and a bevy of USB ports in the front and rear make charging devices easy. 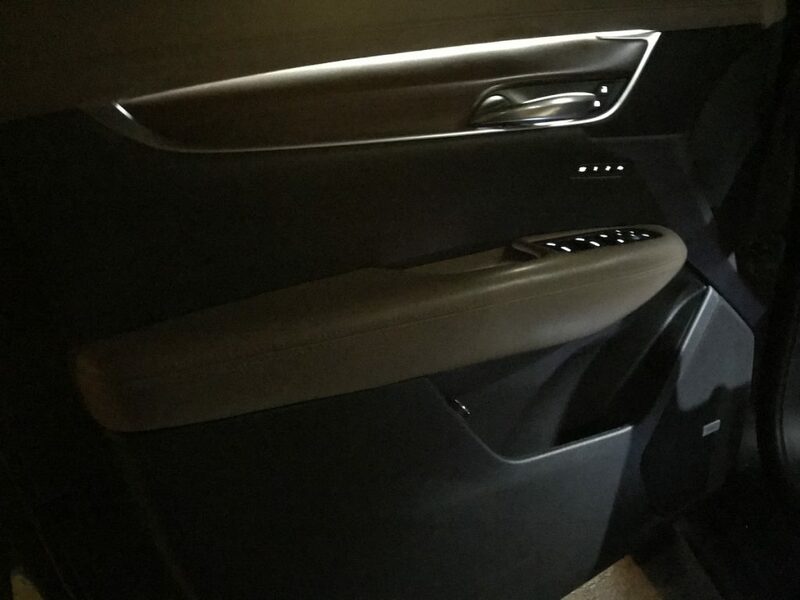 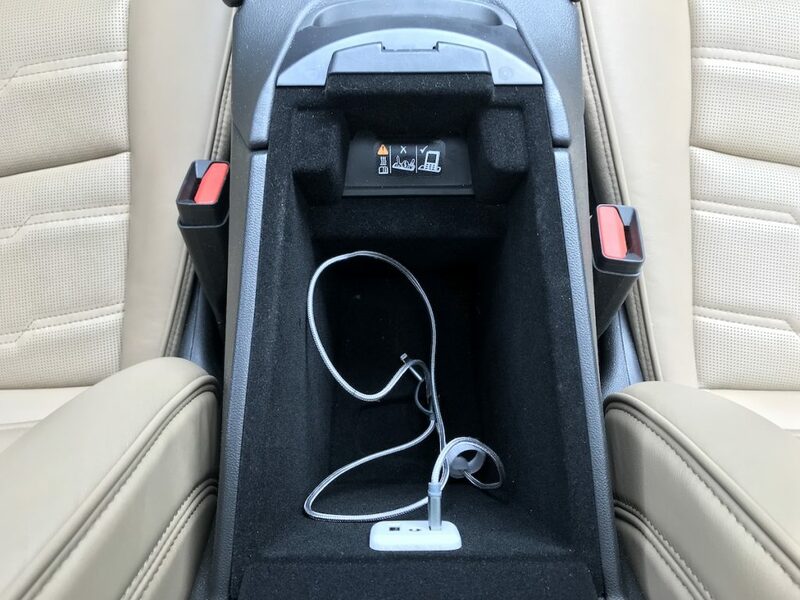 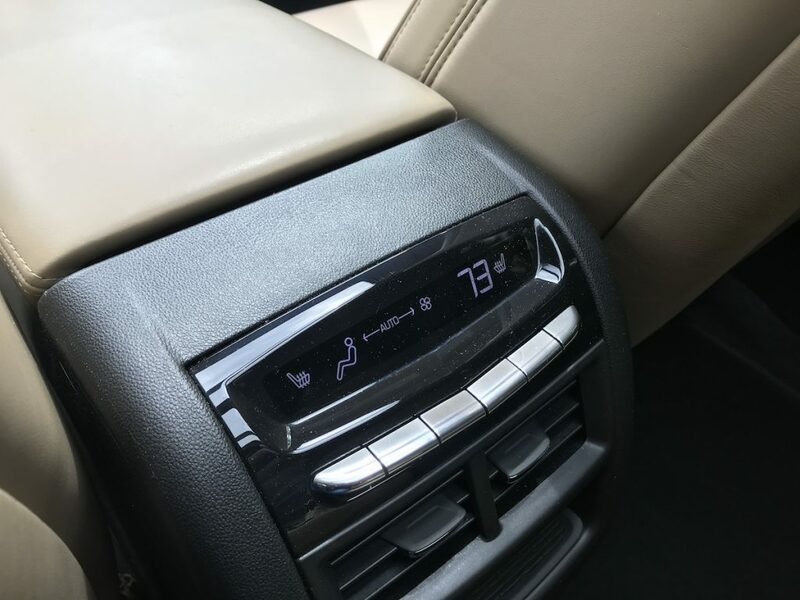 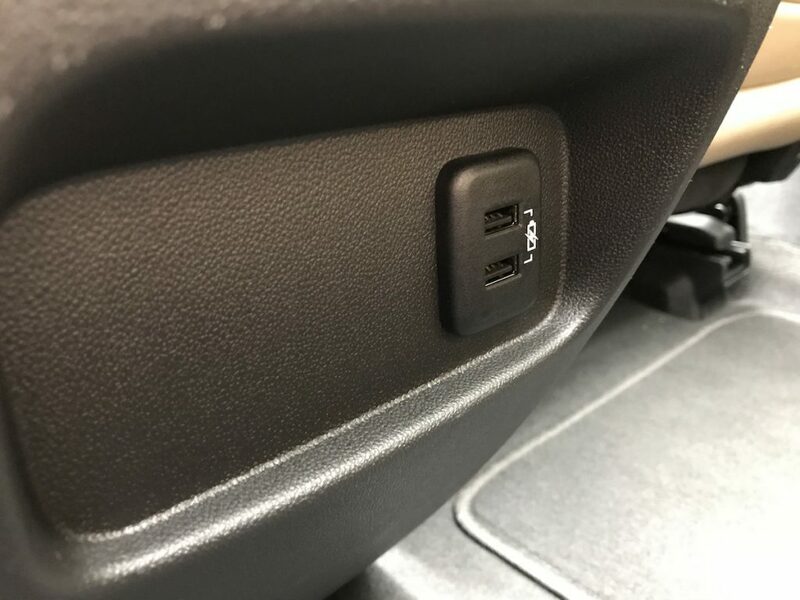 Designers integrated a wireless charger for mobile devices into the center console partially under the armrest, keeping the phone out of the way. 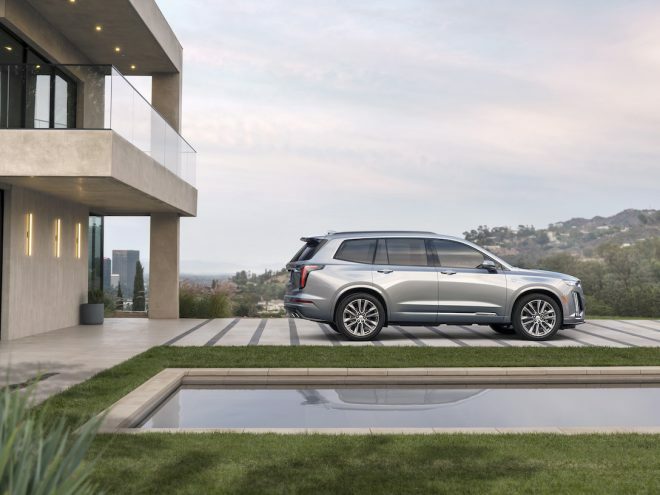 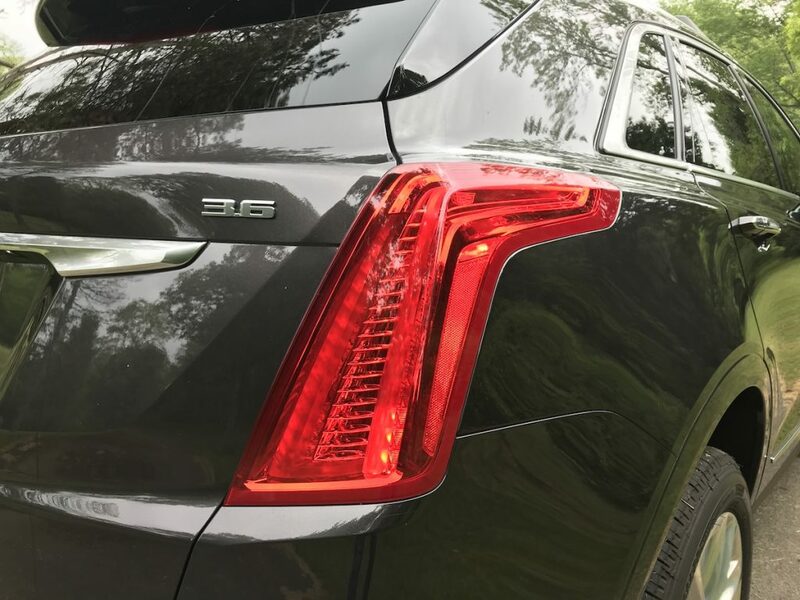 Like all Cadillacs, the XT5 comes with 4G wireless connectivity with a Wi-Fi hotspot. 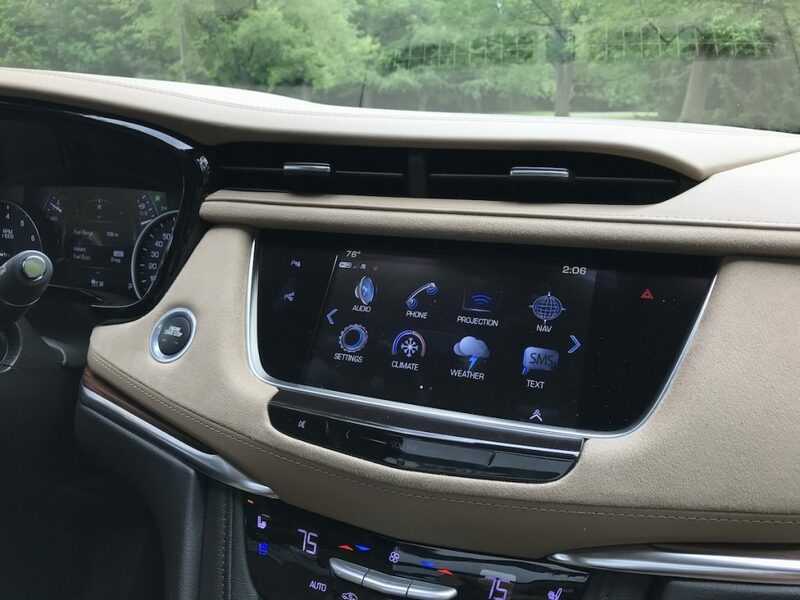 The reconfigurable Heads-Up Display is color and floats in the driver’s field of vision, showing all sorts of critical information. 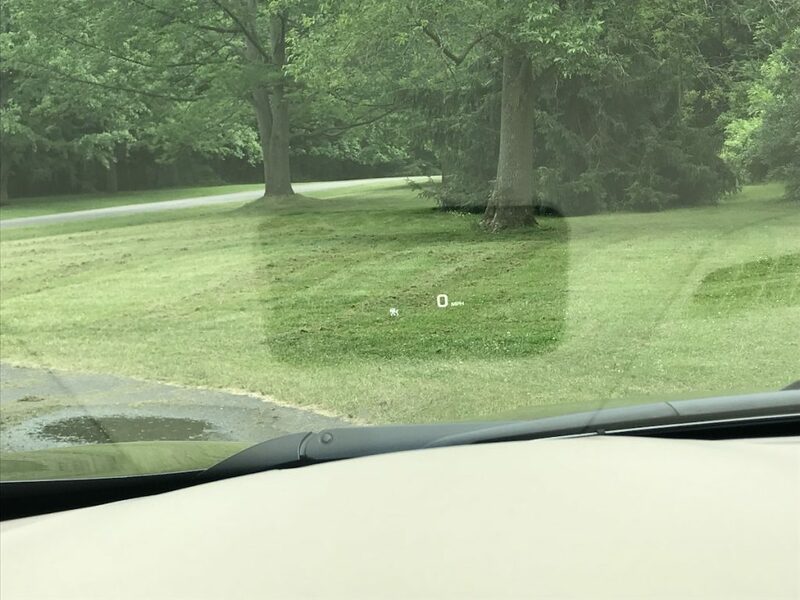 The posted speed limit info is invaluable. 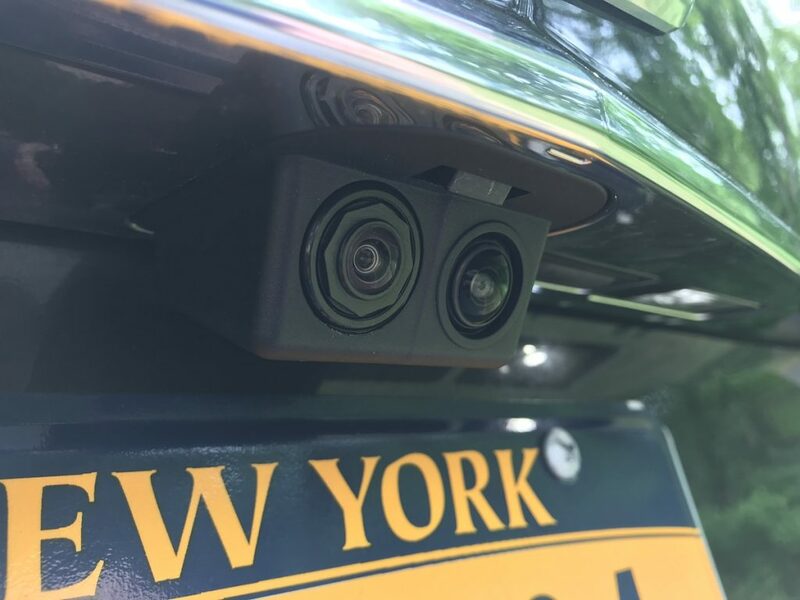 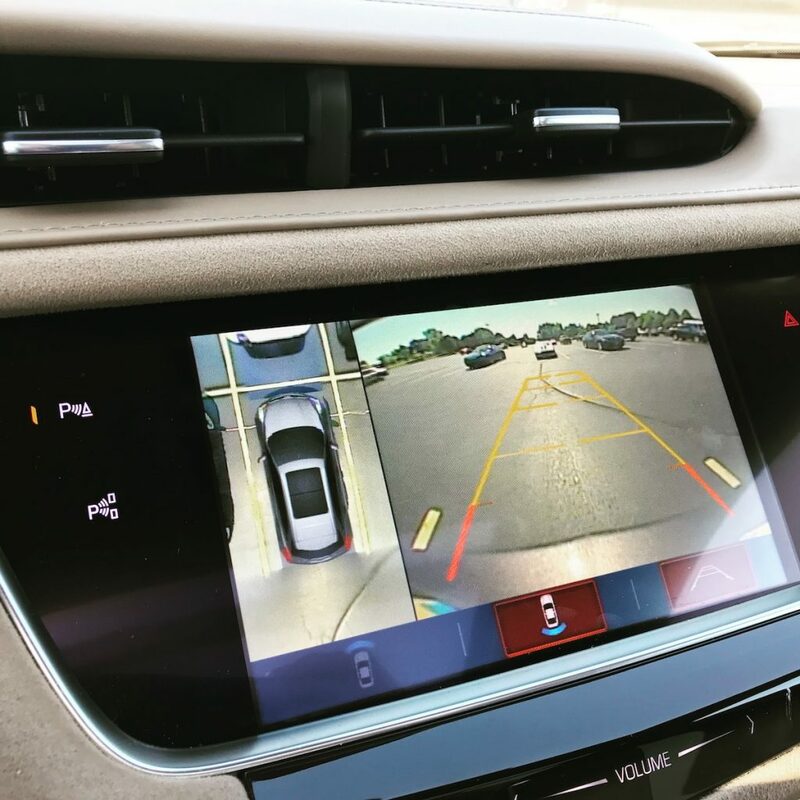 A Surround Vision feature enables a “bird’s eye” view of the perimeter around the car to make parking super easy. 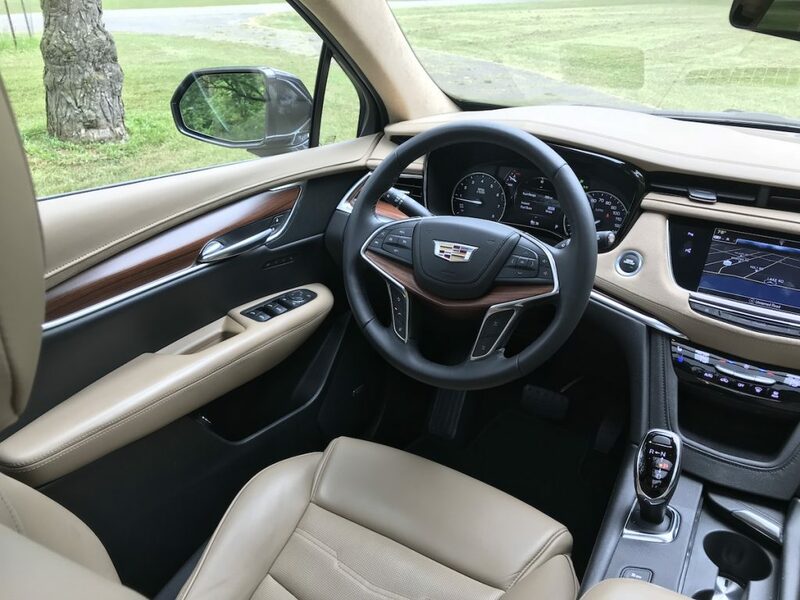 On the safety front, our XT5 came with the Cadillac’s Driver Awareness and Driver Assist packages. 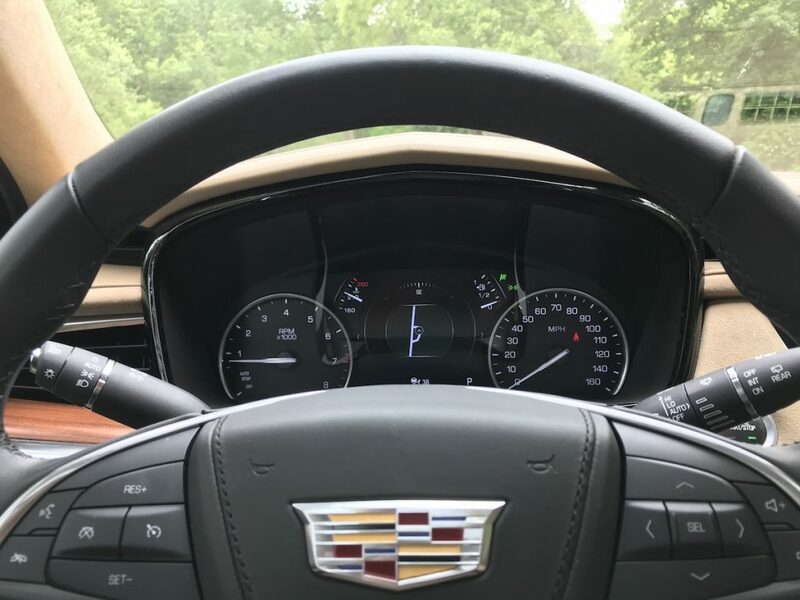 These include automatic front and rear braking for low-speed conditions, Lane Keeping Assist, Rear Cross Traffic Alert, Side Blind Zone Alert, full-speed range Adaptive Cruise Control and Automatic Parking Assist. 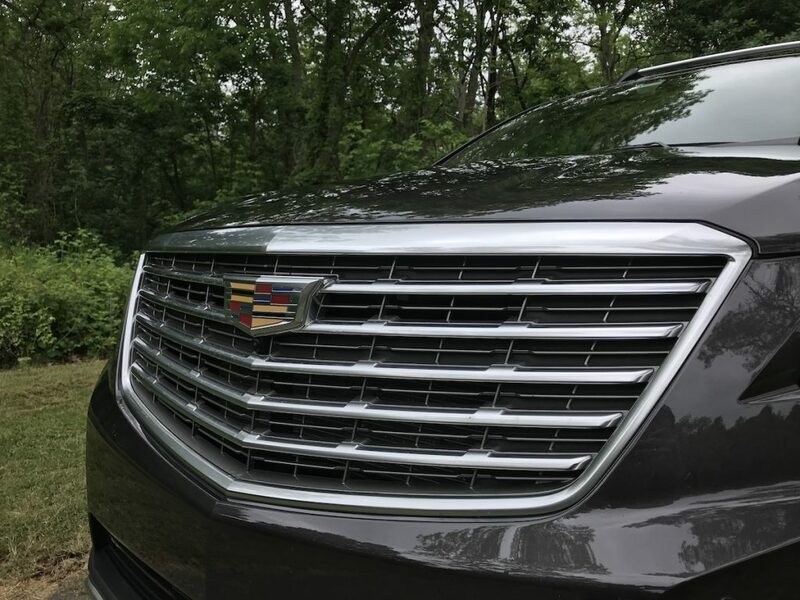 The adaptive cruise worked very well, and the lane keeping assist does an excellent job of gently guiding the XT5 back into its lane. 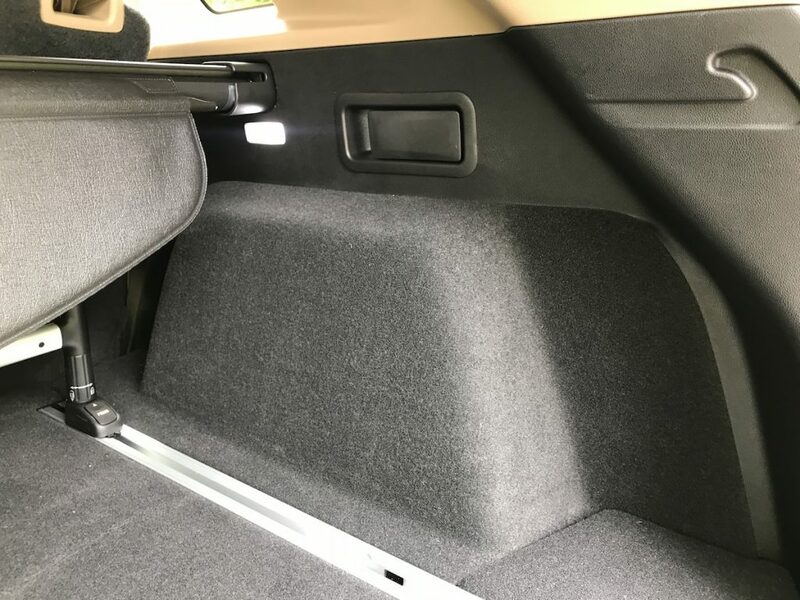 The Safety Alert Seat is so much better than beeps.